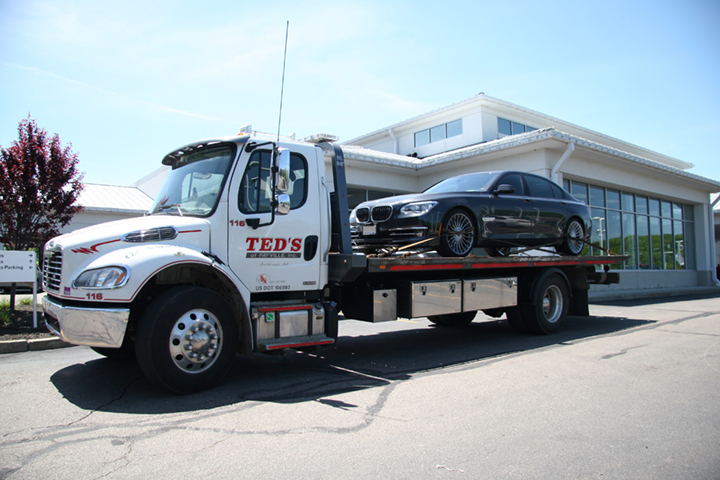 Ted’s of Fayville is New England’s transportation specialist. 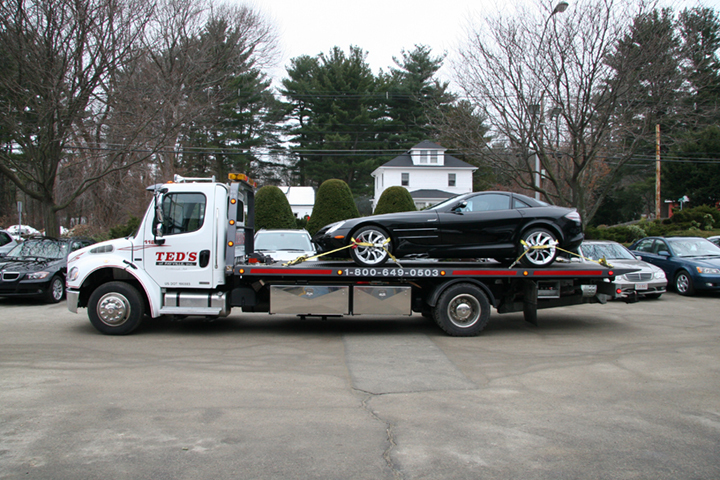 We employ a large fleet of tow trucks that cater specifically to light-duty towing. We have light-duty wheel-lifts and flatbed carriers at our disposal and will gladly tow your vehicle to the location of your choice — safely and efficiently. Our trucks are equipped with the specialty equipment to tow all types of passenger cars and trucks, including dollies, loading ramps and more. When it comes to transporting low-profile vehicles or difficult-to-move equipment, our professional staff is unmatched. We also use innovatively designed car carriers that accommodate high-end, exotic vehicles. From a luxury automobile to the family mini-van, we tow them with the care and handling our customers expect. In business since 1929, Ted’s of Fayville Inc. specializes in all aspects of towing, recovery and specialized equipment transportaion.